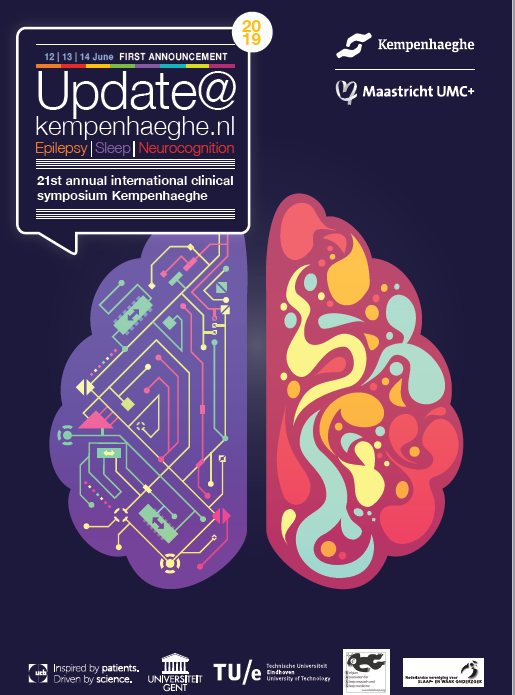 The 21th edition of the Kempenhaeghe international clinical symposium Update [at] kempenhaeghe [dot] nl will be organized next year on 12, 13 and 14 June 2019 in Heeze, The Netherlands. A select group of academic speakers from home and abroad will explain the current state of diagnosis and treatment of epilepsy, sleep and wake disorders and neurocognitive disorders. There will also be an emphasis on developments in medical technology. On the website www.kempenhaeghe.nl you will soon find any additional information about the program, location, accreditation and registration options. We hope to greet you on 12th, 13th and/or 14th June in Kempenhaeghe.